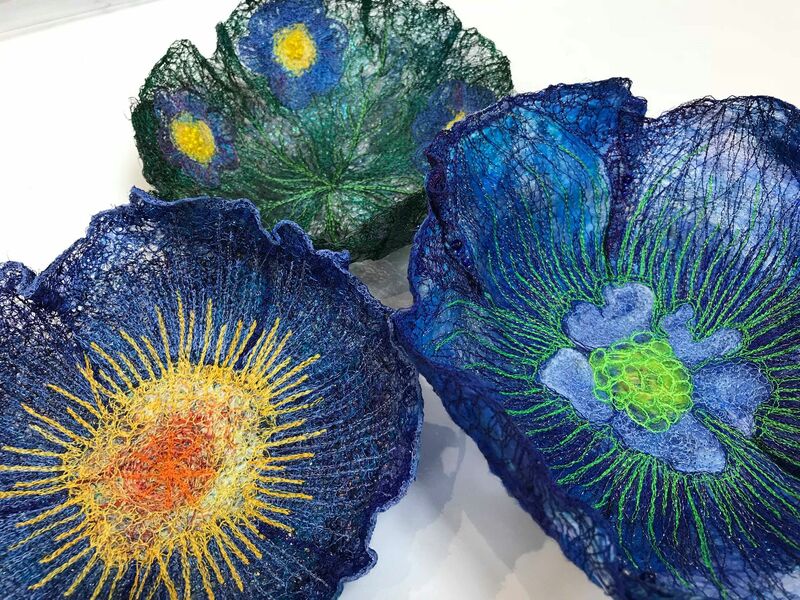 A fabulous opportunity to spend the day creating your own free standing embroidered bowl. Through the process we will explore the different water-soluble products on the market and their appropriate uses, automatic decorative stitches and design motifs. The day involves intensive free- machine embroidery but your patience will be rewarded with beautiful results . once dried at home you will be able to embellish . Suitable for beginners and the more experienced in machine embroidery.